Around here it’s a favorite for St. Patrick’s Day, and you can find stacks of Guinness displays at practically every store that sells beer. Naturally, Guinness has made its way into flavoring many dishes, including breads like our Guinness Bread with Molasses, and desserts like our Chocolate Guinness Cake and Guinness Brownies, as well as stews like this one, of course! What’s In this Beef Stew? Guinness beef stew is Ireland’s answer to Belgian carbonnade, with chunks of beef and with stout instead of ale, and with root vegetables such as parsnips, carrots, and celery root. This stew we are making in a slow cooker (though you could make it in the oven as well). 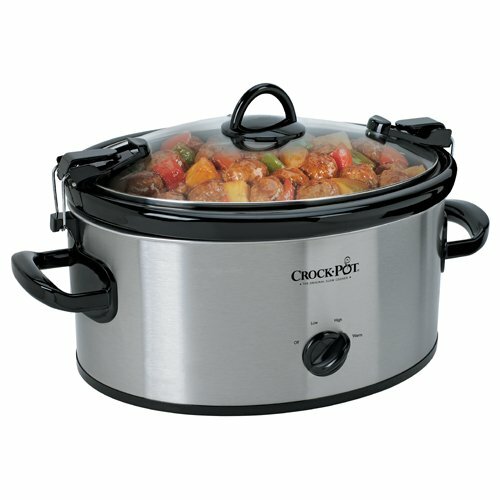 The controlled low and slow cooking is perfect for tenderizing the flavorful but tough pieces of beef chuck roast, while keeping the root vegetables intact. The trick is to brown the meat first, before adding to the slow cooker. That way you get all of the wonderful flavor from the browned meat in your stew. Like many stews, this one is actually better the second day (and even better the third day). Leftovers can be stored for up to five days or so, and can be gently reheated on the stovetop over medium heat or in the microwave. You can freeze the leftover soup, but the potatoes and other root vegetables tend to break down when thawed and reheated. Still tasty reheated, but know that these vegetables will be softer. Updated March 11, 2019 : We spiffed up this post to make it sparkle. No changes to the original recipe. Hello! All photos and content are copyright protected. Please do not use our photos without prior written permission. If you wish to republish this recipe, please rewrite the recipe in your own unique words and link back to Slow Cooker Guinness Beef Stew on Simply Recipes. Thank you!